Preserved under the barrel vaulted ceilings and rising domes of the Roman churches are 2000 years of theology, art, and faith. This tour is a must for those on the pilgrim’s path to Rome. In the Biblical Book of Leviticus, a Jubilee year is mentioned to occur every fiftieth year, in which slaves and prisoners would be freed, debts would be forgiven and the mercies of God would be particularly manifest. Nowhere else on earth do art, architecture, history and faith combine quite as beautifully as they do in Rome during this special time. 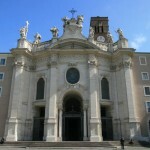 As you visit the oldest church in the west and mother church of the Catholic faith, the Arch basilica of St. John Lateran, look to the high altar. According to tradition, the elegant baldacchino above the altar is home to a reliquary containing the skulls of the martyred St. Peter and St. Paul. As you continue to the Basilica of St. Paul Outside the Walls, you’ll have an opportunity to pay your respects at his tomb. After St. Paul was buried, his followers erected a cella memoriae, or memorial, thus laying the groundwork upon which Emperor Constantine would later build the church. Santa Croce in Gerusalemme, or Church of the Holy Cross in Jerusalem is unique as it is named not in honor of the origin of the cross but because, at the time of its consecration, the floor was covered in soil from Jerusalem, thus making it a piece of the Holy Land. Here you’ll find fragments of the true cross, thorns from Jesus’ crown, and a nail from the crucifixion. 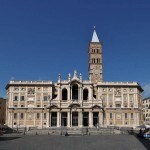 The Major Basilica of Saint Mary, with its stunning mosaics, is an exceptional example of the worship and adoration of the Virgin Mary. The mosaic floors date back to the 5th century, and are the oldest representations of Mary known to Christian Late Antiquity. 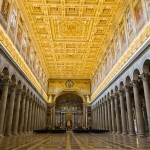 Rome has been the center of the Christian faith for centuries, and is every bit as much so now as it was then. Europe Odyssey have done our best and created a tour that is as much a walk into faith as it is into history. If Renaissance Italy was a garden then, at its very heart, is Florence; a riotous profusion of creativity in bloom. Our dedicated guides welcome you to enjoy a collection of Renaissance art unparalleled anywhere else in Europe. Once the hub of an empire stretching all the way from England to Persia, Rome was the cultural and political center of an ancient civilization. Stops at the Forum, considered the very heart of ancient Rome; and the Colosseum, an architectural and engineering marvel, are your gateway into an ancient world. 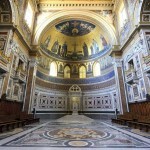 Second only to St. Peter’s Basilica, the churches featured are some of the most spectacular monuments of Christian Rome. Home to beautiful works of art depicting stories from the gospels and the apocrypha, a tour of these churches is a truly exceptional experience.